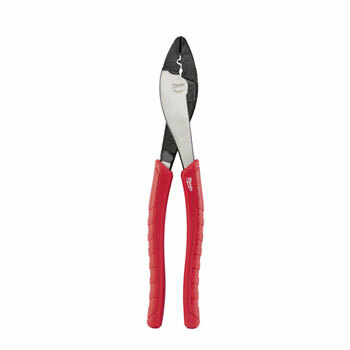 The Milwaukee Crimping Pliers feature hardened jaws designed to deliver more crimping force for insulated and non-insulated terminals. An integrated reaming head makes it easy to smooth out rough edges of metal pipe before installation. Milwaukee comfort handle grips will not peel or dig into hands during extended use.